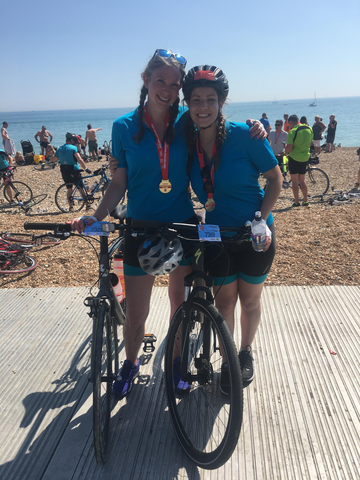 On Sunday 18th June, Miss Percy, Mrs Brehaut and the rest of the 'San Diego Platypus' cycling team took on the London to Brighton Bike Ride for the British Heart Foundation. It was an absolute scorcher but the atmosphere was incredible and carried us across the finish line with huge smiles on our faces! The challenge of Ditchling Beacon on the South Downs was absolutely immense and, somehow, through sheer grit and determination, we made it to the top! 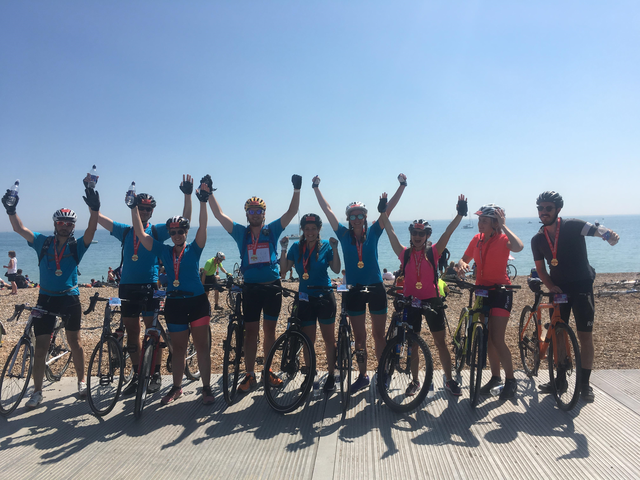 Thank you so much to all of those who sponsored us, we are hugely grateful for your generous donations - every penny will make an enormous difference to the work of the British Heart Foundation. Our sponsorship page is still live if you would like to donate. We hope that the children feel inspired to take on their own challenges in the future and remember: "It doesn't matter when you cross the finish line. It just matters that you do."